Vanity Fair slips and undergarments are both feminine and functional. Their high-quality fabrics hug the body and feel silky soft against the skin. 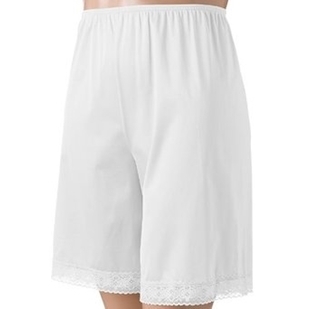 Vanity Fair offers a wide variety of styles including the half-slip, available in short and long lengths. Their elastic-covered waistband creates the perfect fit while still being comfortable.